TacoTime recently launched a delicious new product ~ the Crispy Chicken Flatbread! It’s all-white meat crispy chicken, cheddar cheese, lettuce, chipotle ranch dressing and our homemade salsa fresca wrapped in a warm flatbread. They’re so excited about it that we’re giving away $100 TacoTime Gift Cards daily from October 1st to 20th! Crazy? Perhaps. Delicious? Definitely! I love trying something different and the Crispy Chicken Flatbread is that. What I like is that TacoTime ingredients are deliciously fresh. The care they take in making your food fresh make us truly a one-of-a-kind affordable taste experience. Where other fast food Mexican restaurants cut corners, they take the time to do it right. A difference you can taste in everything they make, from the world-famous hand-rolled Crisp Burritos to the unbeatable Mexi-Fries® that they cook to order. TacoTime’s products are made with the freshest, most wholesome ingredients available. Menu items offer guests a real choice, from vegetarian items to a unique Chicken BLT Burrito. If you are not from the Pacific Northwest you may not be familiar with TacoTime. They began back in 1960 in Eugene, Oregon back in 1960, the TacoTime Restaurant Chain has risen to dominate its position today as the quality leader in the Mexican Quick Service Restaurant franchise industry with 350+ locations in the United States and Canada. Make sure you stop in at your local TacoTime and try the new Crispy Chicken Flatbread. 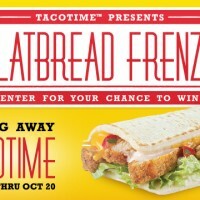 Also don’t forget to go to TacoTimes Facebook page to enter Flatbread Frenzy for a chance to win $100 TacoTime Gift Card. They are giving away 1 a day until Oct 20th. Disclosure: This post is part of a sponsored campaign with TacoTime and Blog Meets Brand. All thoughts and opinions are my own. I love bread ~ I often say I would marry bread if I could I love it so much. I always think how glad I am that I can eat bread and don’t have a problem with Gluten. 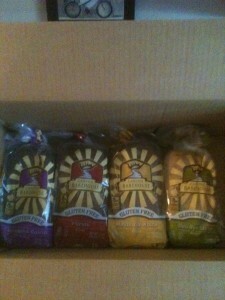 But I recently found some really good tasting Gluten Free Bread from Canyon Bakehouse. This is so good you can’t tell what that it is gluten free. It is soft and delicious and can be eatten right out of the bag. The bread is 100% whole grain and uses all natural ingredients. Canyon Bakehouse bread is gluten, all nuts, soy, dairy and casein free. Canyon Bakehouse makes a whole line of products including 4 great tasting breads including 7-grain, cinnamon raisin, mountain white and my favorite deli rye style. Rex ate the cinnamon raisin for breakfast he didn’t even know that it was gluten free. 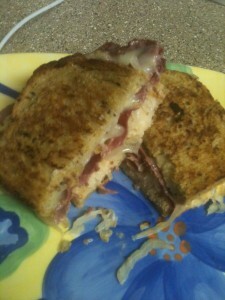 One night I made the best Reuben Sandwiches with the deli rye. They were so good! Doesn’t it look good? Makes me hungry for them again. The nice thing about the bread is that it is made to be frozen so you freeze it and then just take out what you you need. Canyon Bakehouse also makes hamburger and hot dog buns. I did the same thing with the hamburger buns frozen them and then took 2 out when I needed them. I had Rex grill them a bit on the grill while the hamburger cooked and they tasted nice and fresh. Canyon Bakehouse also has Rosemary & Thyme Focaccia I loved the flavor and texture of the focaccia. Just this week I tried the Cranberry Crunch Muffin. These muffins were very good and had a seeds and berries in it. 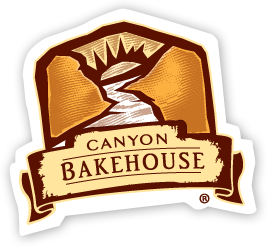 I really liked all the products I tried and you can purchase Canyon Bakehouse products at many stores including Thriftway, Woodmans and Safeway. You can also order it online HERE. You can connect with Canyon Bakehouse of Facebook. Canyon Bakehouse has given me 5 coupons to share with my readers. You must be 18+ and have a US mailing address. Leave a comment on what you would product would you try first. Extra entry for following Canyon Bakehouse on Facebook. Extra entry for each way you follow Kaisy Daisy’s Corner. Giveaway ends Oct 24, 2013. I try to bring my lunch and snacks to work every day first to save money and second because the food I bring is healthier and taste better. 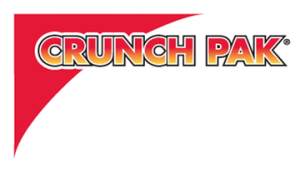 I am always looking for more interesting things to bring and I recently found Crunch Pak. 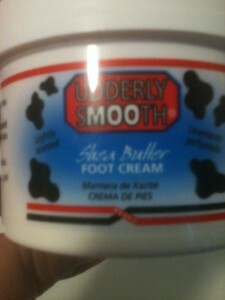 They have some great products. 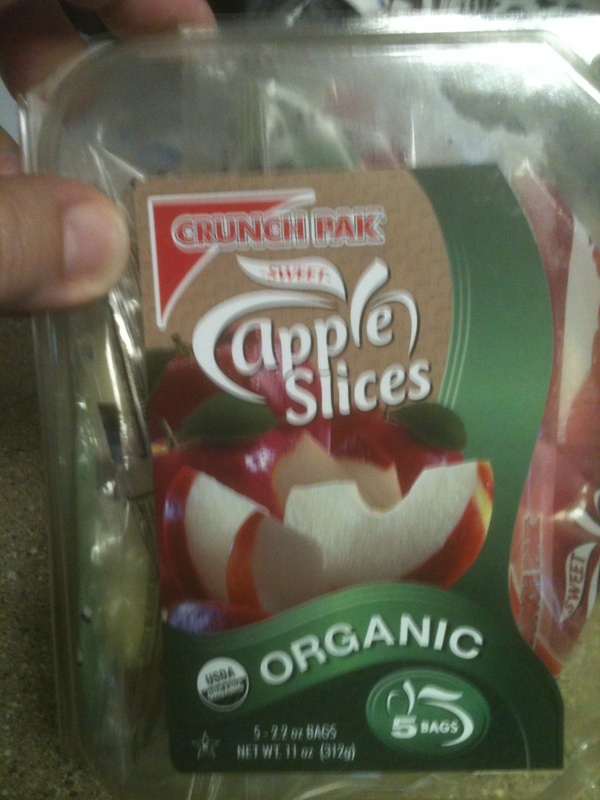 Here is one of my favorite cut up apples in individual packages. These are about 30 calories and are a great afternoon snack with yogurt or cheese. They also have some packages that have caramel yum!!! It makes things so much more convenient and helps prevent me from going to the vending machine. Crunch Pak has lots of good options they have Apple Snackers that include a variety of snacks – like one with apples, grapes and cheese. I also noticed the last time I went to the store they salad kits – one is a Waldorf Kitz feature diced sweet & tart apples, goldenraisins, dried cranberries, candied walnuts & pecans,and Waldorf dressing. It comes with enough ingredients to make 4 1/2 cup servings. How easy would it be to add this to your meal and get more fruit in your diet. 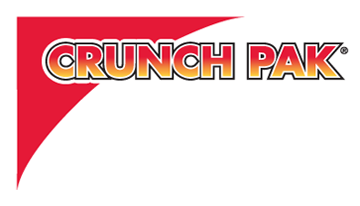 You can find Crunch Pak at many local stores including Target, Walmart and Whole Foods. You can also connect with Crunch Pak on Facebook. Crunch Pak sent me some coupons to use to purchase my review items and I have 2 left that I would love to share with one of my readers. You must be 18+ and have a US mailing address. Leave a comment on what you like to have for a snack. Extra entry for following Crunch Pak on Facebook. Extra entry for each way you follow Kaisy Daisy’s Corner. Giveaway ends Oct 24, 2013. I recently found a great site called rosieMADE. rosieMADE is about inspiring others–and ourselves–to be stronger, bolder, and better. roiseMADE is a woman-owned company, inspired by Rosie the Riveter. They work to help other women-owned and small companies grow. Based in Idaho, they scour the US for amazing products to share on our site to help you live an inspired American dream. You will find all kinds of products on rosieMADE including jewelery, bath products and much more. 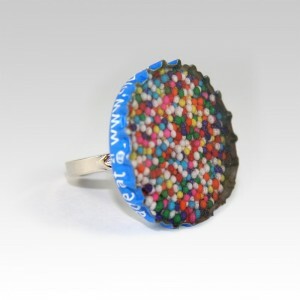 Here is the cute Candy Sprinkle Soda Cap Ring that I received this month form RosieMADE. Isn’t it cute? 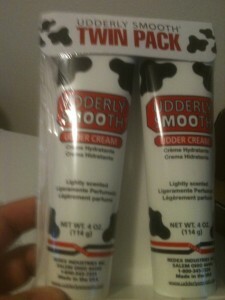 The best thing is that it was made here in the USA and also made by hand. I also like how colorful it is and it is such a great ring for a teen age daughter or friend. I know my niece would love this. I think it may be part of her up coming Birthday present. If you would like to purchase this ring or anything else from rosieMADE you can go HERE to order. You can help inspire someones dream. rosieMADE is offering my readers a chance to receive a free candy sprinkle ring with any purchase of $25 or more using coupon code rrcrew813. You just need to place the ring in their cart prior to entering the coupon code, which can be combined with other offers. This offer is good through 9/30/13. 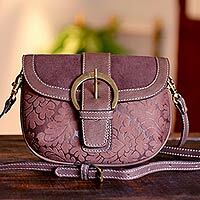 rosieMADE is also have having a giveaway this month $100 GC to use on the rosieMADE site. Giveaway ends Sept 30, 2013. In just the past couple years I started drinking tea and really enjoy all the different types and flavors of tea. I found this site called EnjoyingTea.com that really has a wide variety of teas and also accessories. Here is their Smart Tea Maker which I recieved. 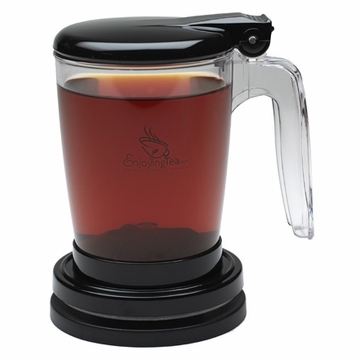 It is an excellent tea maker and is easy to use. It is made of plastic so it is dishwasher safe and Rex safe. Here is how easy it is to use and no mess! 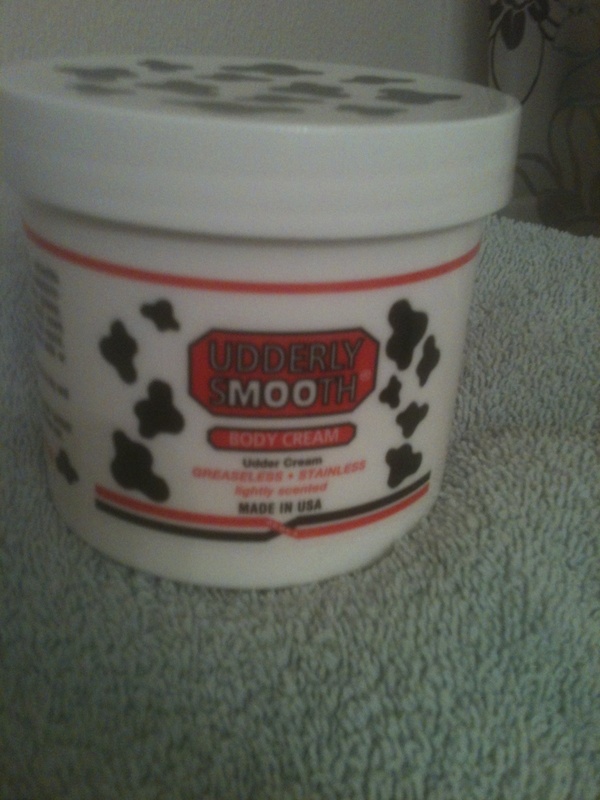 I love it and use it almost every day. I like to drink tea in the evening when I get the dishes cleaned up and I sit down to watch TV. I love to try new and different flavors and types of teas that I haven’t tried before. This variety Tea Sampler was great because it had 8 samples of EnjoyingTea.com most popular tea. I don’t like to purchase full size containers and then find I don’t like the taste of the tea. This was great because I got to sample some great teas. Including one of my favorites Chamomile, new favorite Indian Mocha Chai, and also these great tasting teas English Breakfast Tea, Strawberry Black Tea, Dragon Well Green Tea, Taiwan Oriental Beauty, Provence Rooibos and Zhejiang Silver Needle. For me it was fun to try all the different varieties and I really thought they were all pretty good. What is great about EnjoyingTea.com is you can find all your needs on their site and they have a lot of variety. If you know someone who loves tea but not sure what to get you can even purchase a gift certificate for them. It’s easy to order online HERE. You can also connect with EnjoyingTea.com on Facebook. 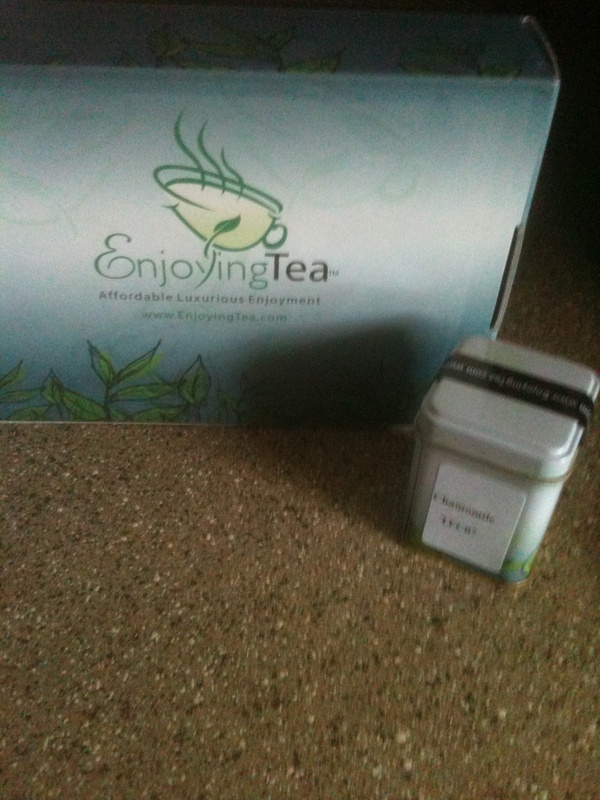 EnjoyingTea.com would like to give one of my readers the Smart Tea Maker and one small canister of tea of your choice. You must be 18+ and have a US shipping address. Leave a comment on what your favorite flavor of tea is. Extra entry for following EnjoyingTea.com on F. Extra entry for each way you follow Kaisy Daisy’s Corner. Giveaway ends Sept 30, 2013. I have been looking for some new athletic shoes for awhile. The last couple pair I bought were not very comfortable. I was very excited to try these shoes from Therafit Shoes. There shoes are designed specifically for woman and accredited by the National Posture Institute. Therafit makes lightweight, durable women’s sneakers for an active lifestyle. 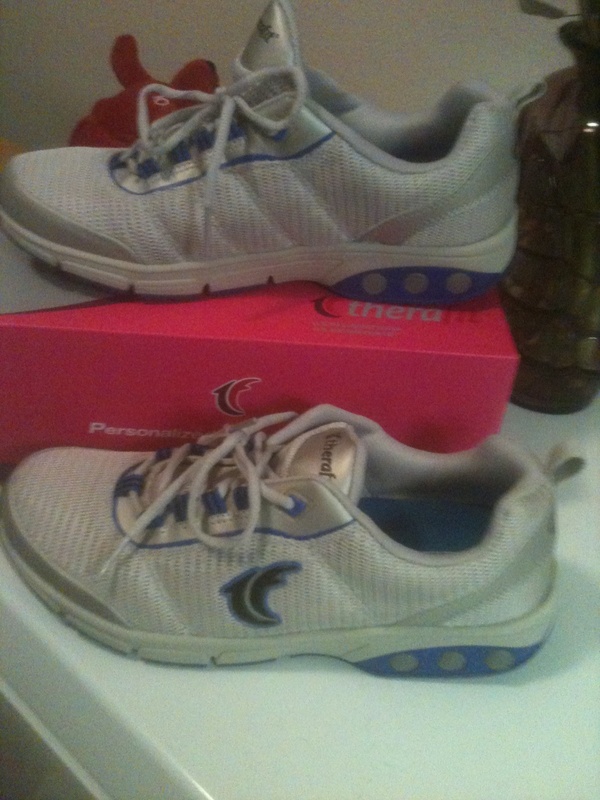 I have to tell you I love my new Therafit athletic shoes. They are very lightweight and the first time I wore them they were comfortable. The ones I have are the Deborah Women’s Sneaker in Silver/Blue. They have a molded, removable footbed giving even more cushion and support, this is the 12-HOUR shoe for your 12-HOUR day. On Sunday I went to Haystack Rock on the coast and wore them – I brought another pair along in case these bothered me. 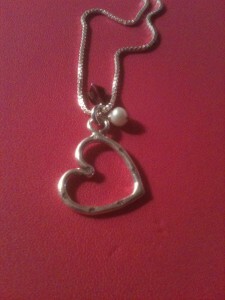 I wore them all day – walking along the coast and in town. We left the house at 6am and got back after 6pm so over 12 hours and they still felt great! I have never had a pair fit so well from the first time I put them on. What I am hoping is now that I have shoes that feel great when wearing them that I will walk more and maybe even wonder over to the gym at my apartment complex. I have no excuses now. The difference is that built into each pair of Therafit by Dr. Lisa, is their patented cutting-edge technology; the outsole can be adjusted to allow an increase or decrease in impact resistance. The Therafit Personal Comfort System (PCS) Technology also utilizes three specially designed dual-density adapters located within the shock-absorbing wedge that can be removed to change the shoe’s impact resistance and cushioning. Tired, aching feet? Remove one, two or all three of the Personal Comfort Adapters to change the resistance. Therafit also has Sandals and uniform shoes so that no matter if you are at work or play your feet are comfortable and in fashion. If you would like to get your own pair of Therafit Shoes and make your feet and whole body happy you can order HERE online. You can also connect with Therafit Shoes on Facebook. 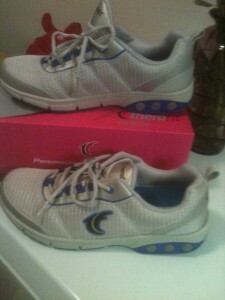 Therafit would also like to give one of my readers a pair of Therafit Shoes of their choice. You must be 18+ and have a US shipping address. Leave a comment on what pair of shoes you would most like (you can change your mind if you win). Extra entries for following Therafit on Facebook. Extra entry for each way you follow Kaisy Daisy’s Corner. Giveaway ends Sept 24, 2013. Whether you are a student going back to school or a student taking classes online ~ it is important to have a chair that is comfortable. 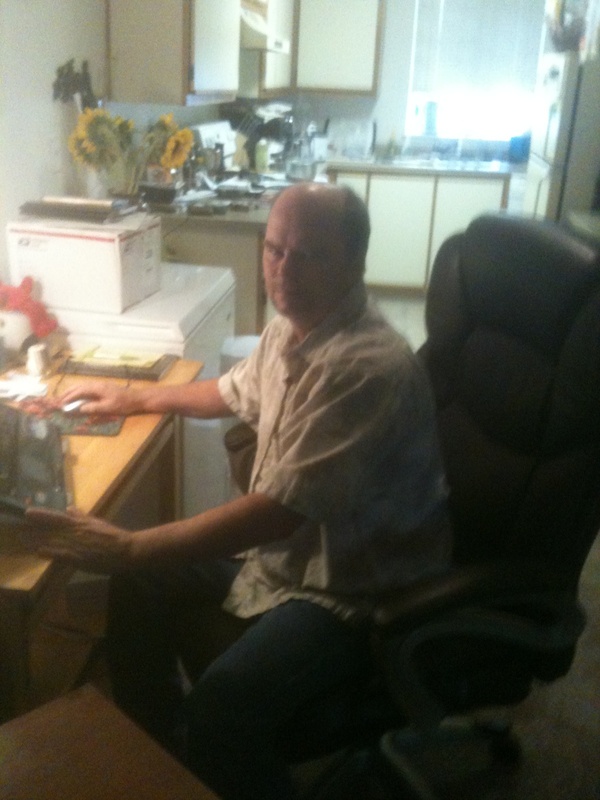 I recently got a new chair from BrylaneHome It is a Extra Wide Memory Foam Office chair. My desk chair didn’t make it very good through the move. It got pushed down the stairs and a wheel fell off so I was so happy to get this great chair from BrylaneHome. This is one of the most comfortable chair I have have sat it. It is constructed with layers foam for soft durable 24/7 pillowed comfort. I sit here at home sometimes 3 or 4 hours after working a 8 + hour day at my “real” job. I need something that is comfortable and durable. My new chair has memory foam cushions that adapts to your body to reduce stress on pressure points and also has waterfall edge which hlep reduce stress on my legs and helps with better circulation. No restless legs. This chair is so comfortable – both Rex and I love it. The chair is more comfortable than my living room chair that I like to sit in to watch TV. This chair supports weight up to 400 pounds and is also a bit wider seat, it also has 360º swivel. The Extra Wide Memory Foam Office chair did need some assembly but Rex was up to the challenge and it only took him a short time to put it together. If you are looking for a new Office Chair look no need to continue to looking ~ BrylaneHome has just what you are looking for at good prices and easy to assemble, plus they are delivered right to your door. You can purchase your new chair HERE. You can also connect with BrylaneHome on Facebook. BrylaneHome has offered one of my readers the same great Extra Wide Memory Foam Office Chair that I received. You must be 18+ and have a US shipping office (no PO box). Leave a comment on what your favorite item is from BrylaneHome. Extra entry for following BrylaneHome on Facebook. Extra entry for each way you follow Kaisy Daisy’s Corner. Giveaway ends Sept 14, 2013. On the second Saturday of the month we have a potluck at church so I like to make something different and something everyone would like. Good Cook recently sent me a ProFreshional Avocado Slicer, Citrus Reamer and Citrus Zester so I decided to make a nice summer salad. Using my new kitchen tools really helped out; I first used the Avocado Slicer to take the seed out of the middle of the avocado and then I sliced the avocado using my new slicer. It’s a great two in one tool! I then used the Citrus Reamer to get the juice out of the lime, which got a lot more juice out than I could squeezing by hand. 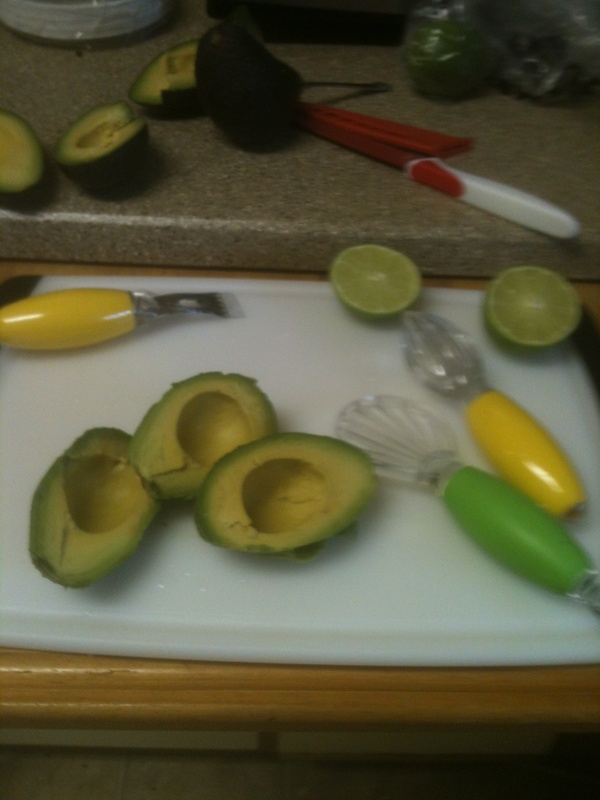 Then I put the juice over the avocado to help keep it from getting brown. My salad was a hit and all that was left was an empty bowl. What I really liked the most about the salad was how colorful and refreshing it was. I also liked that it was simple to make using my new ProFreshional tools from GoodCook.com. You can use the imitation crab like I did in the salad I brought to the potluck or you could use shrimp. The salad can be served by itself or on a bed of lettuce. 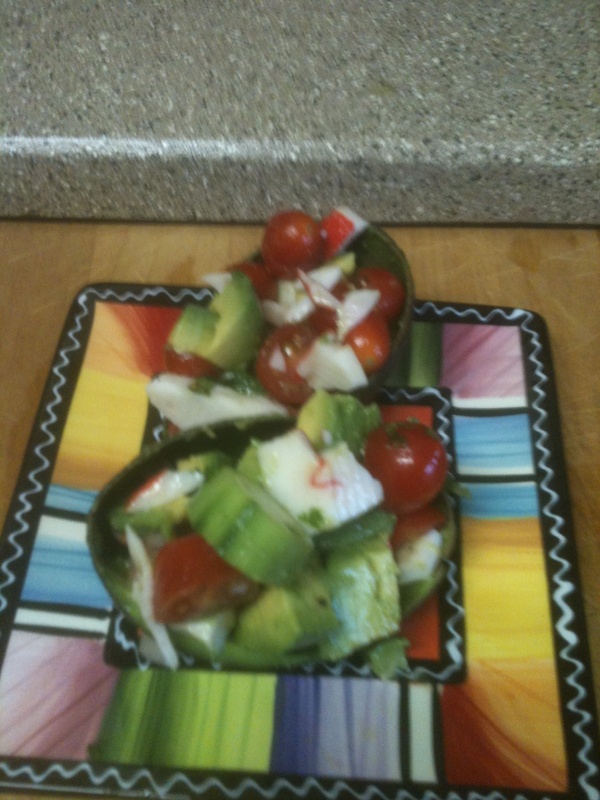 When I make it at home for guest I sometimes put it in the empty avocado half. It looks really good that way, but no matter how you like to serve it is good and the Good Cook tools will make it a snap to make. First squeeze the juice of the lime over the chunked up avocados.Toss the avocado, cucumber, onion, tomatoes, and crab together gently. Mix the remaining ingredients together. 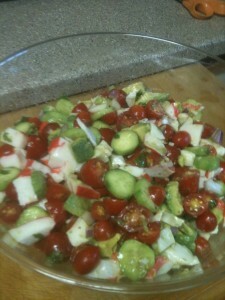 Pour over avocado mixture and mix gently, chill for at least an hour. Enjoy! If you would like to purchase your own ProFreshonals Produce Tools you can do so HERE on GoodCook.com. Use the Code LoveAvocado at checkout for 25% off. GoodCook.com has offered 2 of my readers the same set of tools I received Avocado Slicer, Citrus Reamer and Citrus Zester. You must be 18 + and have a US shipping address (no PO box). Leave a comment on your favorite way to eat avocados and a recipe if you have a good one! Extra entry for following GoodCook.com on Facebook. Extra entry for each way you follow Kaisy Daisy’s Corner. 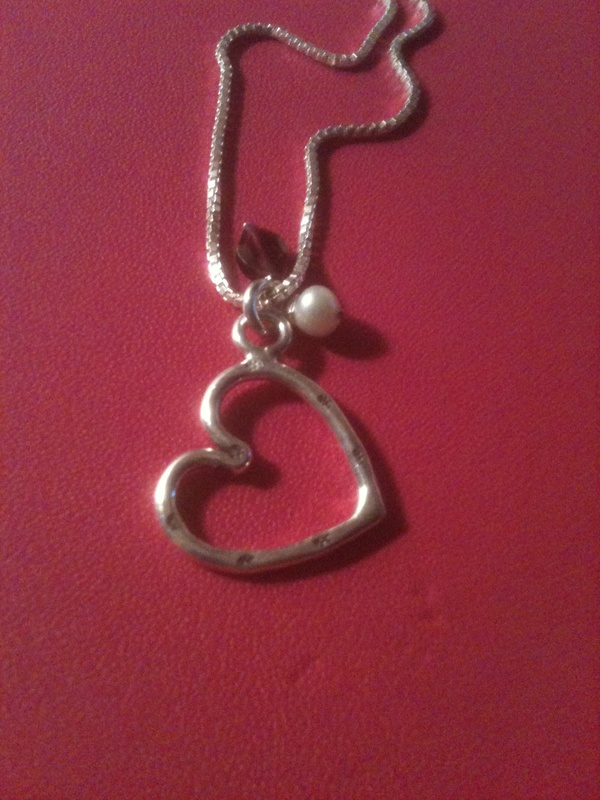 ** Giveaway ends on Aug 29, 2013. Individuals can enter the Good Cook Avocado contest on multiple participating blogs sites to increase their chances of winning. However, one prize will be awarded per promotion. If an individual wins a Good Cook prize on two or more blogger’s sites, they will only qualify to receive one prize.